We're going back to Wembley on Saturday 2nd March 2019. We will be travelling by coach from different points in the diocese. 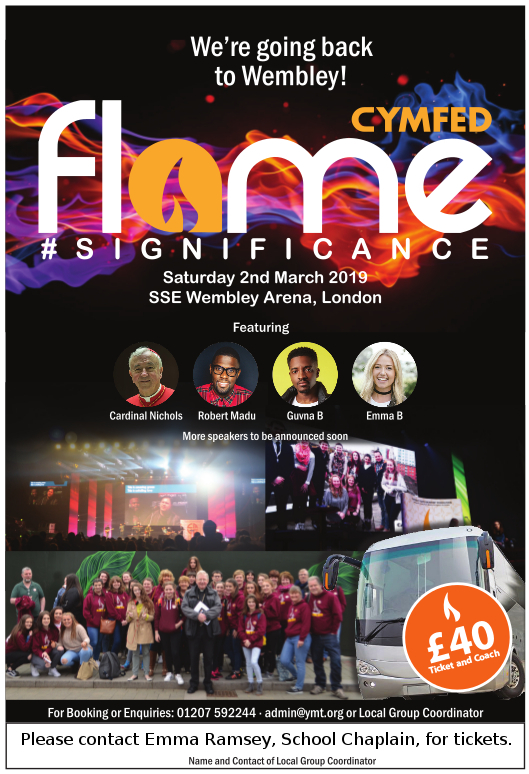 Please contact Emma Ramsey, School Chaplain, for tickets.